For some, a new year means a fresh start; for others it's just a continuation of the long thing we call life. But both sides, we imagine, will find an excuse to celebrate come New Year's Eve — especially given the year we've had. Finding the right way to ring in a new year can be difficult, so we've done the leg work for you, collecting all of the best concerts and music events happening across Canada this December 31. Whether you're looking to mosh or shake yer groove thang, check out our picks below — and, of course, Happy New Year! For more of Exclaim! 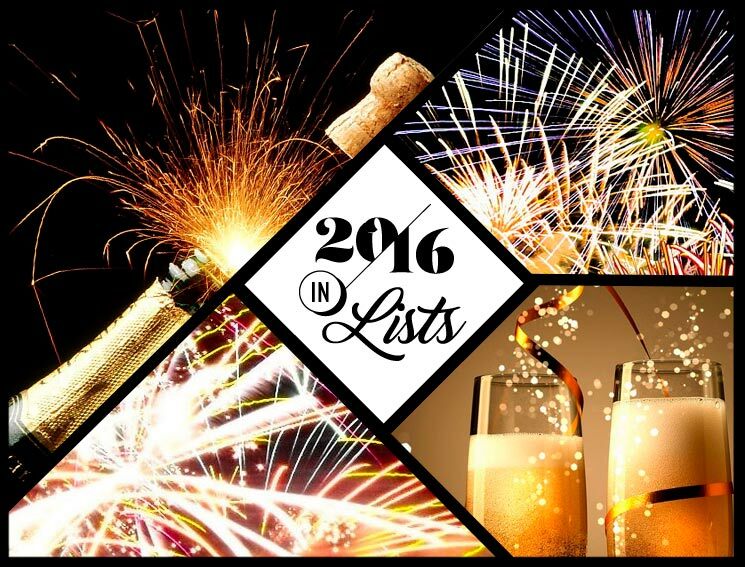 's Year in Review coverage, head to our 2016 in Lists section. Being "downtown Vancouver's only waterfront celebration to ring in 2017" wouldn't get this party that far (isn't it cold by the water?! ), but the lineup and fireworks are enough to really make waves and get the public out — hopefully swaddled in an extra layer or two. True North is the Concord New Year's Eve's older brother. Sure, it might cost a bit more, but it comes with complimentary snacks, a full cash bar and premium viewing for the fireworks shows. Oh yeah, and there are a few bands playing, too. It's going to be a dark day in Vancouver come the 31st, with both Black Wizard and Black Breath bringing the bleakness. Just make your first resolution to ice your neck first thing in the morning; whether your style is slow doom grooves or breakneck thrashing death barrages, you'll be sore from headbanging. A massive multi-room party will take over an entire floor of the iconic Hotel Vancouver for the fourth straight year, including performances from live disco band the Tainted Lovers in addition to DJ sets and live dance performances. The night will be soundtracked by all your hip-hop, R&B, house, techno and party favourites. Downtown Calgary's New Year's Eve celebrations have something for everyone, no matter the age. With ice skating and a glow-in-the-dark dance party already teed up, an evening of live performances headlined by Canadian rock vets 54-40 will provide the soundtrack to the festivities. UBK stands for United Bass Kollective, and they've pulled together a rumbling lineup of low end, from Skrillex affiliate (via his OWSLA label) and extraterrestrial Mat the Alien, to Canadians like wunderkind Ramzoid and hometown hero Flavours. While everyone else is waiting for the ball to drop, wait for the bass to drop in Edmonton. • The Stampeders New Year's Eve Bash! There's nothing more intrinsically Albertan than the Calgary Stampede. To ring in the new year, the Stampeders are riding up to the province's capital to hangout with some "Sweet City Women" (and men, of course). Though they're recognized for their work as individual artists, great things happen when Factor Chandelier and Kay the Aquanaut come together, and their New Year's bash at Burning Beard should be no different. Come through for great hip-hop tunes and good people, or celebrate in style with the full five-course dinner option. In what might be this New Year's Eve's biggest contradiction, this party is encouraging people to dress to the nines — or, you know, the 1920s — to dance to music with bass so thudding it could never have been made back then, and might have destroyed Jay Gatsby's luxurious house if it did. Australian producer Wax Motif will no doubt be going extra hard to drop some fire and heat up the room this December 31, as he'll be in one of Canada's coldest cities during his homeland's summer. No strangers to ringing in the new year in Toronto, Elliott Brood return to Lee's Palace promising an evening of original songs, cover tunes and maybe even some new material from their forthcoming album. Toronto folk outfit Union Duke will provide opening support. The Sadies certainly have a lot to look forward to come 2017, gearing up to release their tenth studio LP, Northern Passages, in February. Some new tunes could be worked in amongst older favourites when they take the Horseshoe Tavern's stage alongside the Pow Wows and Duende to ring in the new year. The Silver Dollar has curated another power-packed bill of Toronto musicians to start 2017 with a bang, with Phèdre topping a NYE lineup that also includes "molecular pop" duo Ice Cream and dance floor-fillers Scott Hardware and Prince Ness. Trevor Blumas of DOOMSQUAD will also hop behind the decks to spin some tunes. Though they recently wrote their first original song in the name of Christmas, Toronto's favourite cover band are sure to put their own spin on all your favourites to help you look back on the year that was and celebrate the arrival of the new one. DJ Lazy Ray will provide musical accompaniment. They always say ring in the new year, but why not stomp it in? This party has something for the punks, with Stomp Records' the Creepshow bringing a horror-themed psychobilly freakout and labelmates the Penske File galloping ahead in more traditional (punk) rockin' fashion. We don't throw the words "star-studded" around lightly, but with members of Tokyo Police Club, Hannah Georgas, Born Ruffians, Young Rival and more singing covers, this is exactly that. Indie rock in the new year. What better way for a border city to celebrate the end of our last Trump-free year than an all-Canadian concert? Vancouver-based MC SonReal and Toronto singer-songwriter Scott Helman lead a diverse lineup of musical guests that will soundtrack a giant free New Year's party at Quai Jacques-Cartier in the Old Port of Montreal, with Alex Nevsky, Bernard Adamus, Klô Pelgag, Louis-Jean Cormier and live DJs also getting in on the action. Let's be honest: Aside from those formal shindigs, New Year's Eve parties don't really have a dress code — until you book Gogol Bordello, that is. Bust out your purple and dance with these self-proclaimed Gypsy Punks. Canada's own Carly Rae Jepsen will play what is arguably the country's biggest stage on New Year's Eve, bringing her pop prowess to Parliament Hill with opening support from Alberta singer-songwriter Brett Kissel, Acadian hip-hop crew Radio Radio and a "pyro-musical display" that is sure to dazzle the nation's capital. Time zones ensure that Saint John is one of the first Canadian cities to celebrate 2017, and Matt Mays is topping a massive musical lineup that will help get the party started. Mays will be joined by the Motorleague, Adam Baldwin and many more in the city's Market Square. The Strumbellas know how to party. Just weeks after announcing a performance at Canada's 150th birthday bash, they'll join Ria Mae in the Maritimes to celebrate the end of the last year. Now we're just wondering what they're doing for Family Day. The past year was a monumental one for Dallas Smith, having broken into the U.S. market with his third solo LP Side Effects. He'll be ringing in 2017 in his home and native land, with a pair of shows to welcome the new year at Casino Nova Scotia. Relive the year in music by checking out Exclaim! 's picks for the Best of 2016.